After you successfully deployed RD Web Access server users have to type https://RemoteApps.company.com/RDWeb/Pages/en-US/Default.aspx or you create a link to reach this page. To make it easier you may want to redirect https://remoteapps.company.com tohttps://RemoteApps.company.com/RDWeb/Pages/en-US/Default.aspx. It’s easier than you thought. Follow the steps below. 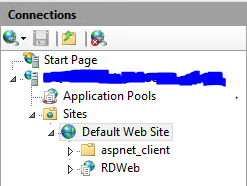 Remote Desktop to RD Web Access Server. 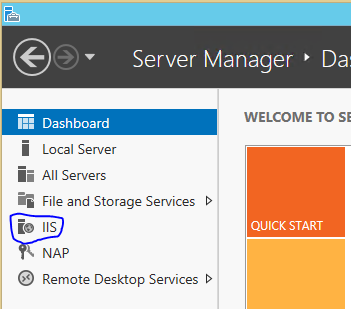 Open Server manager and Click on IIS on the left side bar. Expand to Default Web Site. 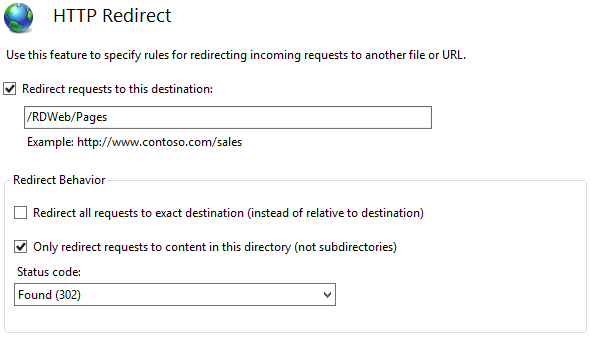 Double click on (HTTP Redirect) under IIS section. Match the settings as in the picture below. Check the box for Only redirect requests to content in this directory..
That’s all now, try typing https://remoteapp.company.com (or whatever your website URL is), it will redirect to the RDWeb page. Enjoy.